If you’ve been waiting to get your hands on one of Apple’s beastly iMac Pro computers, but at a deep discount, then you might finally be in luck! Apple on Thursday morning officially began selling multiple, certified refurbished configurations of its most powerful iMac ever — available now at up to 15 percent off via the company’s United States and Canada-based Certified Refurbished stores. 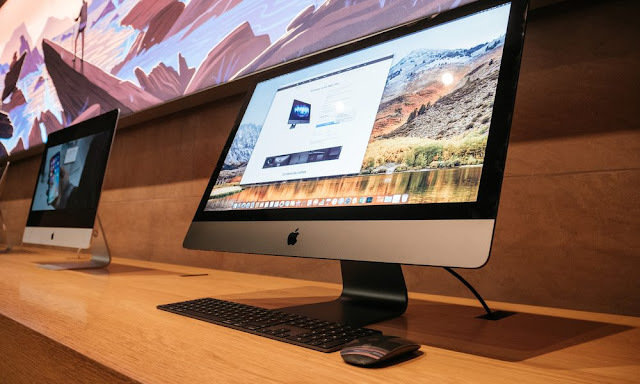 Currently, Apple has listed a myriad of refurbished iMac Pro models, including several 8-, 10-, and even 18-core variants boasting Intel Xeon processors and a generous variety of SSD storage, RAM memory, and graphics card allotments. In general, customers can expect to save between $750 and $1,440 by purchasing an Apple certified refurbished iMac Pro. Several base-model iMac Pros featuring 3.2 GHz eight-core Intel Xeon W processors, 32 GB of DDR4 ECC memory, 1 TB of SSD storage, and AMD’s Radeon Pro Vega 56 GPUs are available for just $4,249 — compared to $4,999 brand-new — representing a savings of $750 or 15 percent. Upgraded models are also available at deep discounts. For example, prospective buyers can also choose from an iMac Pro boasting Intel’s 10-core Xeon W CPU, a whopping 128 GB of 2666 MHz DDR4 ECC memory, a 2 TB SSD, and Radeon Pro Vega 64 GPU with 16 GB of HBM2 memory — all for just $8,159, compared to $9,599 brand-new. Introduced over the summer, but released in December, 2017, Apple’s powerful iMac Pro has proven itself beyond worthy of carrying the title: “Apple’s most powerful iMac ever.” Boasting a gorgeous 27-inch 5K Retina display, the machine flaunts a distinctive Space Gray chassis with color-coordinated accessories, and can be configured with blazing-fast components like up to an 18-core Intel Xeon processor, up to 4 TB of SSD storage, up to 128 GB of ECC RAM, and up to an AMD Radeon Pro Vega 64 GPU boasting 16GB of HBM2 memory. With the most well-equipped configuration topping out at over $13,000, Apple has clearly and explicably created the iMac Pro for its most dedicated and creative professional users. The sleek, slender and powerful iMac Pro represents some of Apple’s finest work to date, in terms of designing and building a product that caters to the needs and demands of working professionals. And it’s proven beyond capable of handling even the most demanding tasks with ease, including advanced video and graphics editing, virtual reality content creation, and even real-time 3D rendering. Apple’s certified refurbished products are generally flawless, from a cosmetic standpoint. And the company further guarantees that all refurbished iMac Pro models are “thoroughly inspected, tested, cleaned, and repackaged” in a brand-new box with all manuals and accessories. For its distinctive iMac Pro, Apple has bundled in a Magic Keyboard with Numeric Keypad as well as a Magic Mouse 2 in Space Gray. As with new Apple products, the company’s certified refurbished offerings also come guaranteed by its limited one-year warranty on parts and labor, which goes into effect the day your iMac Pro is delivered. You can also extend your warranty coverage by up to three-years with the purchase of an AppleCare+ Protection Plan for iMac.